Termites or ‘white ants’ are a large pest issue in Australia, particularly in Sydney’s suburbs. The biggest problem with termites is that they can cause substantial economic damage to your property if left untreated. Not only do termites cause economic damage, but they also attract other pests by providing a year round food source for predators. Picture: Peter making use of our t3i Termite Radar. According to CSIRO statistics, in previous years the rates for termites within Sydney homes has been rising, putting every home owner at high risk of property damage. While a termite’s main source of food is wood, brick veneer constructions within Sydney’s termite prone zones are not safe from termite attack. As all areas of Sydney and greater Sydney are at high risk of termite infestations, it is highly likely that termites are in your neighbourhood! Termites can make their way into the homes of neighbours through the extensive network of underground tunnels they create. These tunnel systems are often as far as one hundred metres away from the main nest colony. This means if your neighbour has termite damage, you are likely to as well. Therefore, you would be putting your home at high risk, and your pocket in danger of significant future financial consequences by not getting termite inspections for your home! 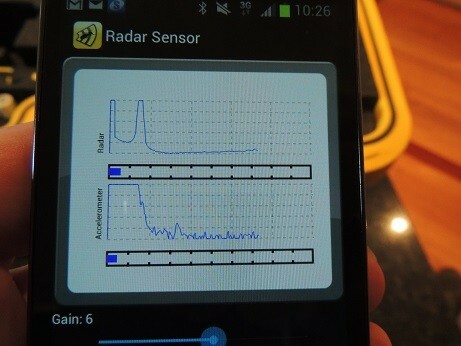 Picture: The handy t3i pairs with the smartphone app to give you instant data and graphs! The best way to control termites in your neighbourhood before they cause significant issues to your home is to arrange regular and thorough termite inspections with your local pest control company. 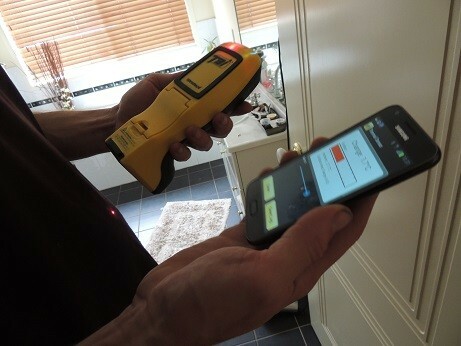 A1 Pest Control uses the latest technology combined with sound traditional visual methods of termite inspection. Using thermal imaging, combined with Termatrac’s tracking device you will have the satisfaction of an accurate understanding of termites in your home. 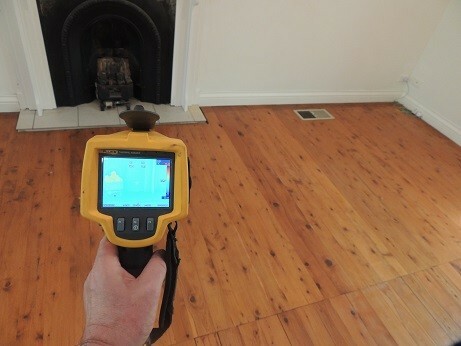 A thermal termite inspection is the best method of detecting termites and termite damage within your home. Using the latest technology in a thermal inspection as well as a visual inspection will ensure the detection of not only active termites, but also inactive nests and termite damage within your walls, subfloor and roof. In turn, giving you peace of mind to know your inspection was comprehensive and worth both your money and time! While thermal inspections cost more than a normal visual termite inspection, they have a lot of added benefits. Thermal imaging works by detecting heat energy caused by active termites within walls of your home. Using infrared technology the operator is given a wider view than they would have if limited to their own vision. This wider view gives them access to understanding the path in which termites are moving through the home and what is attracting them to these areas. Thermal imaging locates termite risk areas, moisture damage, poor structural framing and other issues normally hidden by wall linings. This is extremely valuable to home owners as it can help eradicate problems such as mould growth and decay within the early stages… saving you money in the long run! It’s better to have a quality inspection for a few extra few dollars, with so much added benefit than to have a low-cost inspection that is a thorough waste of time. Using A1s T3i radar, moisture and thermal options you will gain peace of mind and a thorough understanding of termites within your home. Homes within the Hills district of Sydney are at high risk of termite damage! 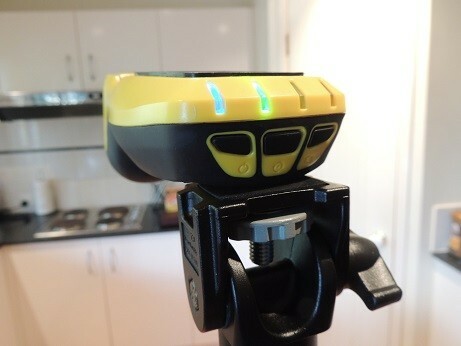 That’s why A1 Pest Control has invested in the highest quality products and equipment for termite inspections, including Fluke’s top of the line Thermal imaging camera. Using the equipment from a Thermal Termite Inspection an A1 pest operator is able to demonstrate to you where termite damage and active termites may be living within the linings of your walls. Using heat detection and infrared the camera shows an image of the impression of the frames within your walls. Missing sections within the shape of the frame can show termite damage, while abnormalities within the impression of the frame can indicate termite mudding. Often, a cluster of termite activity can alter the temperature of a wall lining, increasing the temperature to a warm environment. This heat is revealed through the thermal imaging camera. 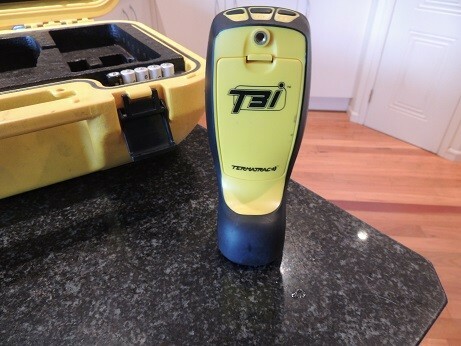 Combined with thermal imaging, A1 pest control uses the latest technology for termite radar, the t3i Radar and Moisture detector by Termatrac. This is used to find out the patterns of movement made by termites, making it easier to eradicate the colony from your home. 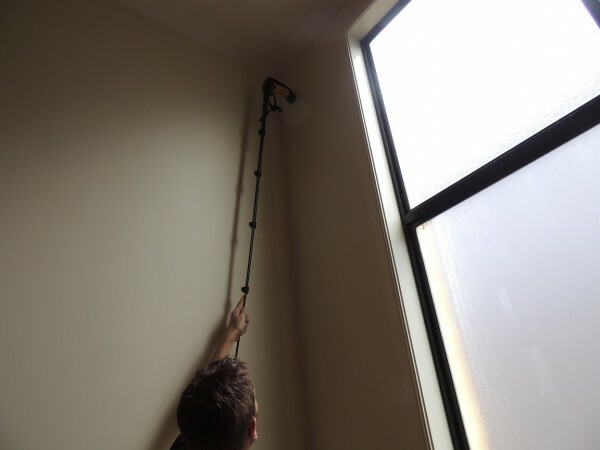 Secondly, as termites come and go to certain sites at different times of year, the thermal termite camera will be most useful in finding active termite concentrations. Once found, these active termite clusters can be eradicated with low-toxic chemicals WITHIN problem areas. In comparison, a visual inspection would not allow us to find the exact location of termite clusters, leaving it up to guess work and using more chemicals than may be needed in the home. Using thermal imaging the problem of overusing chemicals can be avoided, saving you money on expensive chemicals and drastically reducing the total cost of a treatment!! Thirdly, the thermal imaging camera used by A1 pest control and the Termatrac T3i radar, moisture and thermal imaging camera, helps identify any moist or damp areas in walls and floors, helping you find leaks and moisture within the wall linings which could save you money on your water bill! It is clear that the Thermal Termite Inspection is the better choice for a termite inspection in your home. Using those extra few dollars to detect the termites in the right area will give you added peace of mind that you have used your money wisely. 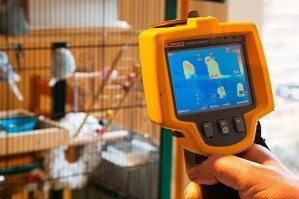 But as thermal imaging detects all sorts of heat in the home it is important to think of a few things before we come. Together with thermal imaging and a comprehensive visual inspection, A1 pest control is able to provide you the best quality inspection, and save you from dear financial consequences down the line. For peace of mind, or a free quotation email us at ?bruce@a1pestcontrol.com.au or call us on 0417 251 911 for a free quotation!